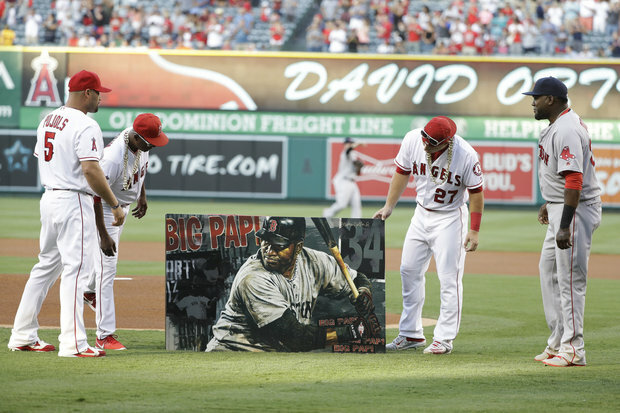 It's safe to say that this past weekend was the last time David Ortiz faced the Angels in his career. (In spite of Mike Trout, they ain't making the playoffs). And he is probably lamenting that, as he has loved playing in Anaheim and against the Angels in his career, having many memorable moments. 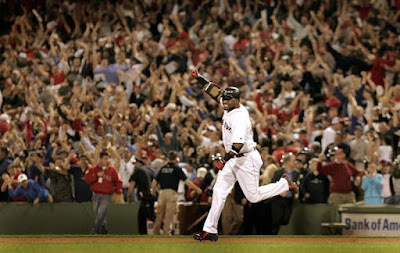 His first home run as a Red Sox came here in April 2003, when he pinch hit for Jeremy Giambi in the 14th inning and took a 2-0 pitch deep for the game winning home run (alas not a walkoff as those are infinitely harder to hit when you're on the road!). 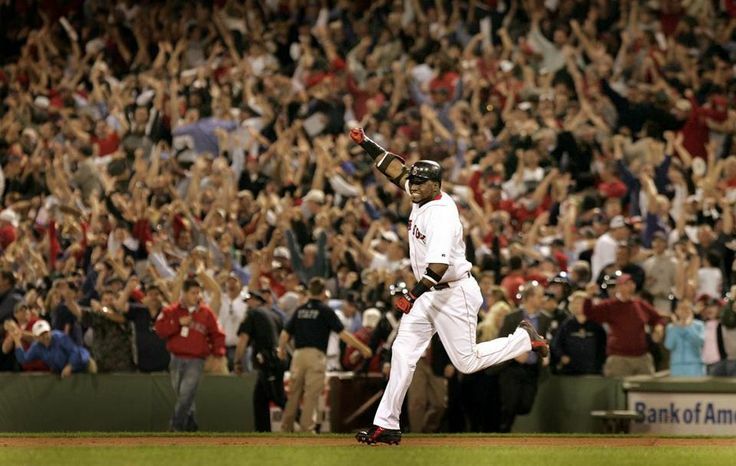 And of course, no one will ever forget his extra inning Series winning walk off home run (pictured above, video heer)in the ALDS vs. the Angels in 2004 that helped propel the Red Sox to their first Championship in 86 years. He also won the 2010 home run derby at Angel Stadium, defeating former and future teammate Hanley Ramirez while putting on a show hitting 32 balls out - which matches the total number of home runs he's hit against the Angels in 117 career starts.